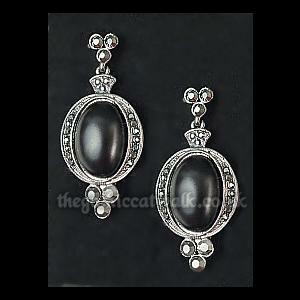 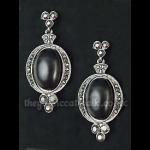 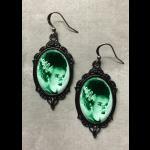 An elegant pair of gothic Victorian earrings with a central black cabochon set in a pretty oval marcasite frame. 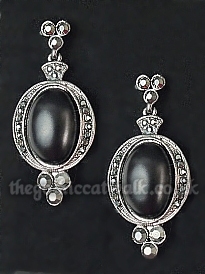 the top and bottom are decoration with a trio of AB crystals. 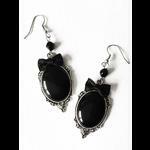 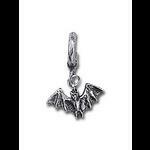 For pierced ears with a plastic and butterfly fastening.